Lakelovers are proud to be supporting this volunteer-run charity who work energetically saving lives on the fells and lowlands of the Lake District National Park all year around. You can support the Lakelovers £5k fundraising challenge by donating as much or as little as you’d like via our JustGiving page here or choose to donate £2 when you make a booking with Lakelovers. Of course don’t forget to bring all of your family on holiday to the Lakes, including dogs who are FREE with Lakelovers. 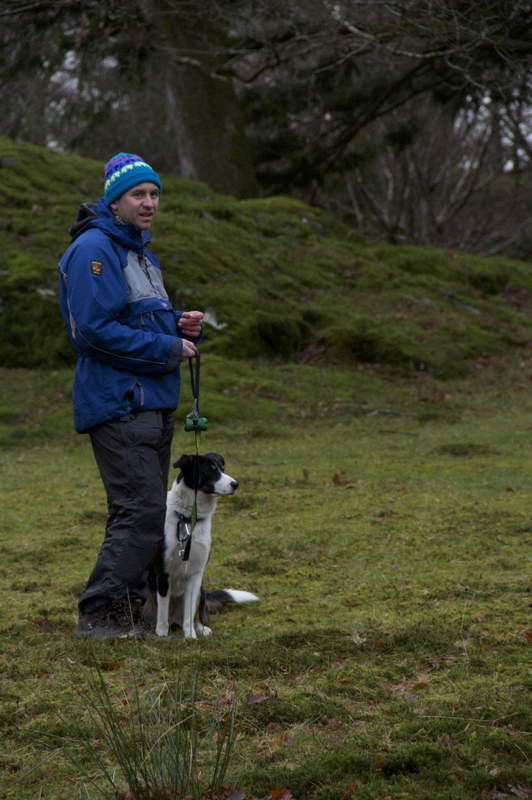 As the daffodils start to think about raising their cheery heads and snow still caps Helvellyn and Skiddaw, rescue and search dog training here in the Lakes is in full swing. We’re excited to share with you the gorgeous, bouncy new recruits that we’re sponsoring as they start their hard work training to become working Lake District Mountain Rescue and Search Dogs. 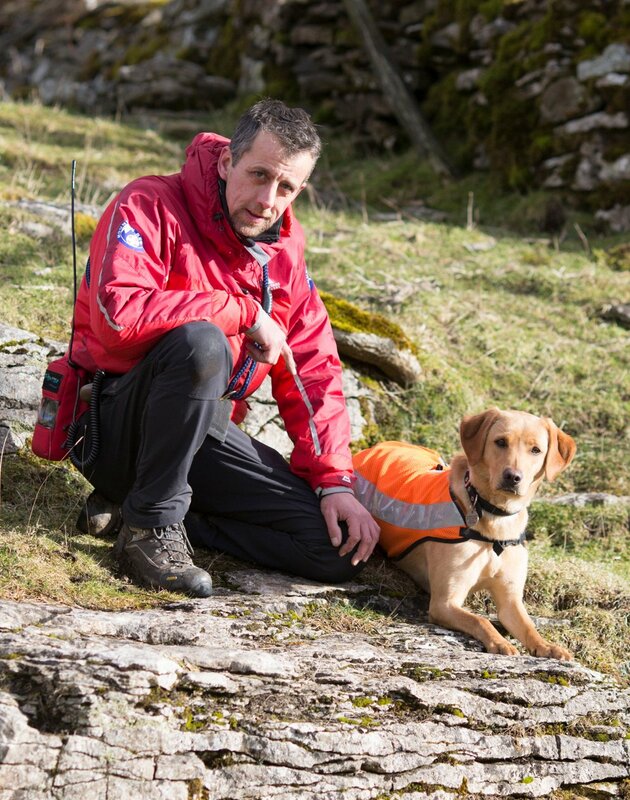 Adrian is from Kirkby Stephen Mountain Rescue Team and has been training his dog, Kaiya, for just over a year. Kaiya is a very lively Labrador who is very eager to learn. She initially learned to find a volunteer ‘dogsbody’ very quickly, but took a little longer to respect the fact that the ‘dogsbody’ represented a casualty whose injuries would be minimized by not being bounced on! Kaiya loves the ‘toy of joy’! Learning to be a search dog is not ‘work’ for Kaiya – it is a big game. The playtime when the handler and dog are with the body is vital to maintain the dog’s enthusiasm for finding a casualty. Their next step will be stage 2 training, where the search areas get much larger, and they have to consider how to search a particular area efficiently…so more about building up Kaiya’s stamina so she can work for 3-4 hours and training Adrian to clear areas in the best way possible. Matt is a member of Penrith Mountain Rescue Team and the Cumbria Ore Mine Rescue Unit. In the time that remains he teaches Physics at a secondary school in Penrith. Morag is a tri-coloured, short-haired Border Collie of unknown origin. She was adopted in September 2014 aged eighteen months from The Animals’ Refuge, Wetheral in the Eden Valley, Cumbria. Morag; Friendly, alert, passionate about squeaky latex toys, but completely untrained and unsocialised! With intensive training and plenty of advice from LDMRSDA’s professional dog trainer Jen Cartmel, Morag passed her introductory assessments in February 2015. Morag was then more than happy to be released onto the fellside where she quickly learnt how fun the ‘dogsbodies’ were to play with. Her natural ability to range far and wide is of considerable help, particularly when covering steep or rough ground. It is an attribute that Matt is particularly grateful for, especially as she is starting to learn not to leave him too far behind! When she is not working Morag enjoys playing find games, splashing in muddy puddles, and lounging in front of her stove. Details of the rest of the lovable recruits coming soon and thanks LDMRSDA for all the hard work. View our range of dog friendly cottages here to choose your doggy Lake District holiday and donate to LDMRSDA here.